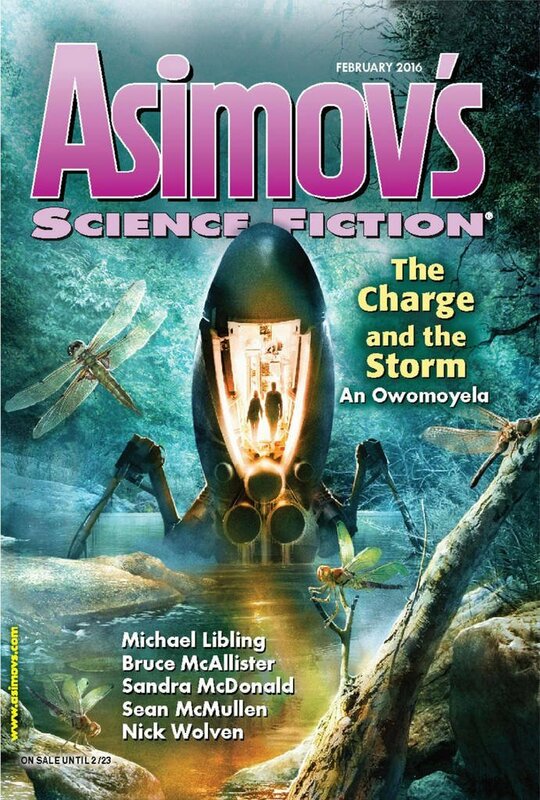 "Bringing Them Back," by Bruce McAllister, appeared in the February 2016 issue of Asimov's Science Fiction, published February 12, 2016, by Penny Publications. Pro: The story begins with the narrator wanting to save the magic of the animals he caught as a child, which he does through drawings. It concludes with him doing the same for his family and ultimately himself. From a simple start, it gradually gets more and more poignant. Con: The premise is hard to credit: that entire classes of animals could go extinct due to viruses and fungi, but that man would be left until last. Once we see the first extinction dates, we pretty much know what's going to follow.